When the weather turns nice and the days grow longer, I start to get real antsy feet and a desire to go adventuring on the weekends. One of my favorite things is to plan weekend “getaway run + picnics” with William, which often include a long trail run adventure out of town, followed by a post run laugh-stretch session, and then a picnic complete with picnic basket, real plates and silverware, and a post-feast laze in the grass. The juxtaposition between a dirty trail run and a much fancier presented post-run meal makes these occasions feel particularly special. They are the ultimate one-day treat and if I’m lucky, we incorporate many such weekends over the long-day season. When it comes to the food, I often don’t plan much ahead and throw together something quick from the fridge since really, anything we’re okay with eating at room temperature can be picnic food. One time last year, however, I came up with the idea to make savory muffins for one of these adventures and they went down a real treat. I’ve made them a few more times since and found the ingredients to be fairly interchangeable, but the novelty of a special post-adventure savory muffin has yet to wear off. On the other hand, on weekends when we’re not adventuring, or on the weekend mornings when I plan to be especially indulgent for hours before venturing out, I love to clear out my inbox, read all the things online and off, journal, and generally laze about with tea in hand. With a whole new getway run and picnic season ahead of us, and longer mornings to indulge in the sun’s early glow, I’m leaving you the option to either make these muffins and go for an adventure, or settle in to a cozy morning of reading/inspiration. Or perhaps you’ll plan, like me, to do both! 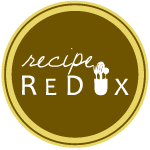 Since I love all things reading, books, libraries and lists, I recently created a recommended reading area on the blog to share all my favorite cookbooks, nutrition and related topics reads, and a few others. Speaking of cookbooks, I’ve been a little obsessed lately with the Banana and Cacao Granola from David and Luise’s latest cookbook. I put my own personal spin on it with toasted local hazelnuts, puffed rice, and other seeds, and find it it simply outstanding. If you haven’t discovered or read Gena’s Weekend Reading posts over on The Full Helping, I highly recommend. While she routinely shares articles and recipes she’s enjoying, I like Gena’s weekly commentary the most, where she shares about her own journey years beyond initial eating disorder recovery, but still adapting through life’s trials of depression, anxiety, relationships, and simply being human. Relatedly, one of my favorite recipes inspired one of Gena’s, which she shared about in her new cookbook, Power Plates. By now, I’ve cooked my way through a substantial amount of the book’s recipes and can’t recommend it enough! Rather than create a long list of all the good things I’ve enjoyed reading online, I’ve been creating a pinterest board for the last year and more, which is also a fun way to put it all up visually. Check it out, if you’re interested in more. Lastly, I found the news about how much gluten those that follow a strict gluten-free diet are actually ingesting really interesting and not at all surprising, given my own ongoing phases where I have glutened-symptoms almost every time I eat food prepared outside my home. Now, I can’t wait for what to do about this problem and how to best ‘live normally’ despite these obstacles. Fortunately, progress continues to be made in the realm of celiac disease and gluten sensitivity research! The vegetables in these can be easily changed up depending on what you have, but I find that adding just a little sweet apple really rounds out the savory flavors. Preheat the oven to 400ºF (200ºC ), oil a jumbo 6-hole muffin tin or line with paper cup liners. Heat a little oil of your choice in a skillet over medium heat. Add the chopped onion and sauté until soft, about 5 minutes. Add the garlic, thyme, black pepper, and 1/2 tsp. salt and sauté for a further 5 minutes. Then, add the apple and the kale and sauté until the apple is just barely beginning to soften and the kale has wilted. Remove from the heat and set aside while preparing the other ingredients. In a food processor or blender, puree the cooked beans until they form a smooth paste. You might need to add a little water to them. Once pureed, they should measure out to about a 1/2 cup. Add them along with the other liquids to a small bowl and then set aside. In another medium mixing bowl, measure out and mix the flour, baking powder, and remaining spices. Pour the wet ingredients into the flour mixture and using a spatula, start folding them together, along with the onion, kale, and apple. Mix just until combined. Divide the batter evenly between the cups of the muffin tin and bake for about 20 minutes or until golden and a toothpick inserted in the center of one of the muffins comes out clean. Remove the muffins from the oven and set aside to cool slightly in their pan before transferring to a wire rack to cool completely. They will keep for a few days if stored in an airtight container either at room temperature or in the fridge, and they also freeze well. Savory muffins! What a great idea! Thanks, they are the best for changing up on-the-go meals!